With the weather growing cooler, these fully grown mink are putting on their winter fur. Photo: Truth About Fur. 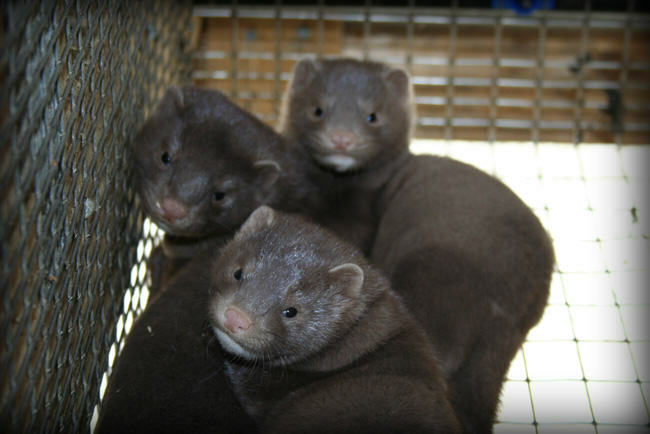 In Part 1: Breeding, Les explained how the mink production cycle begins early each spring. 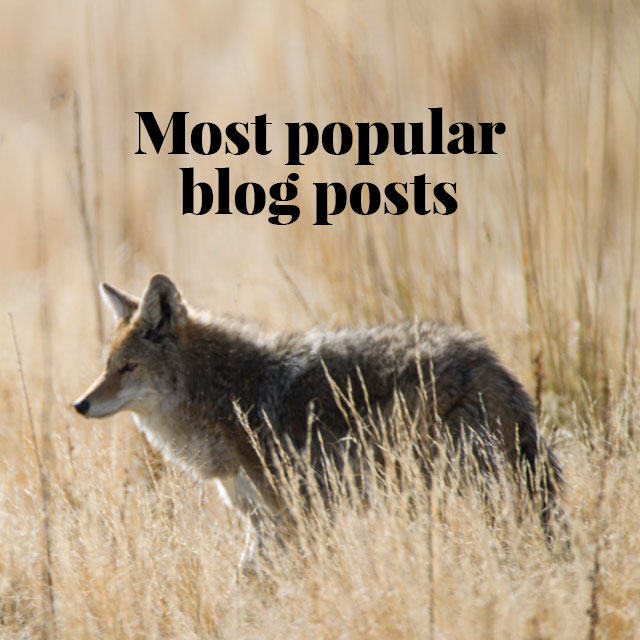 In Part 2: Whelping and Weaning, we got an insider’s view of life on the farm through one of the busiest periods, from April to June. In Part 3: Growing Up, we saw how the mink kits are vaccinated and separated into smaller groups as they grow. 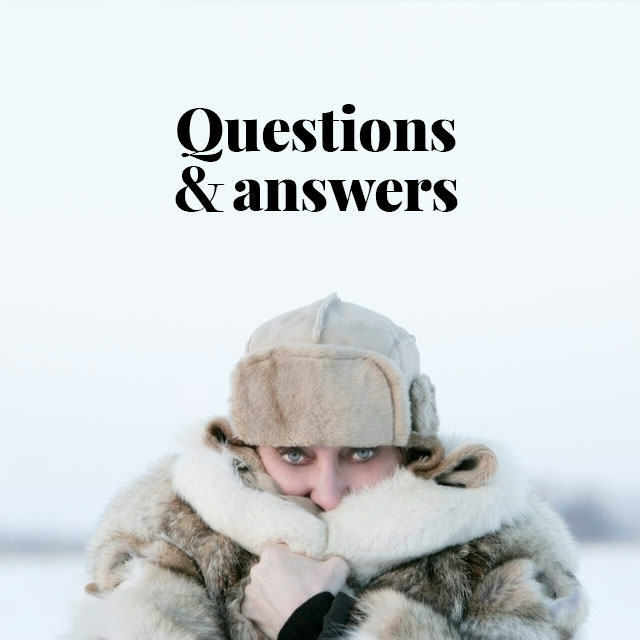 This time, we learn about some of the final steps in producing the high-quality mink for which Canada is known around the world. Truth About Fur (TaF): When we last spoke, the intense work of vaccinating and separating the young kits into pairs had been completed and life on the farm was somewhat quieter as the mink grew through the summer months. What happens next? “Les” (Nova Scotia mink farmer): As the days become shorter and the weather gets cooler in the Fall, the mink are about full grown and start putting on their winter fur. By early November we are deciding which females to keep for breeding the following Spring. A blood sample is taken from a toe nail to test for any signs of illness. Photo: Truth About Fur. The first step is to do some blood tests. We clip the tip of a toe nail to take a few drops of blood from each mink. This is placed into a small glass tube and spun in a special centrifuge to separate the blood components. 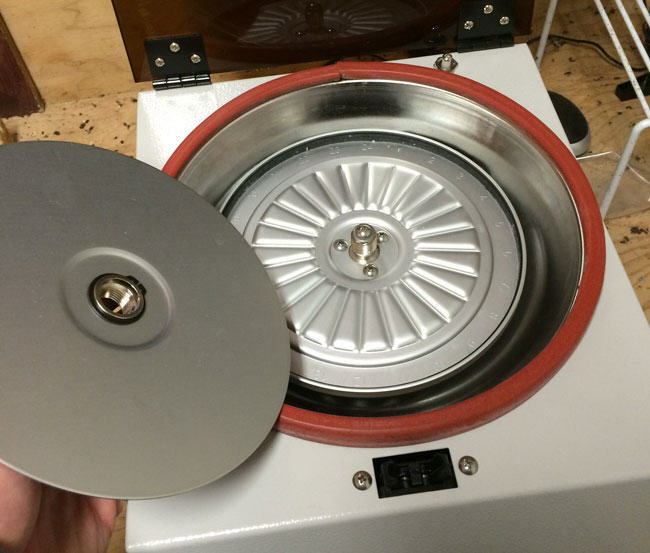 A centrifuge is used to separate blood components. Photo: Truth About Fur. We then extract some of the clear whitish plasma and add a drop of iodine. If rust-colored clumps appear after adding the iodine, we know that some sort of disease or infection may be present. These mink will not be kept for breeding; the data cards on their cages are marked for pelting. 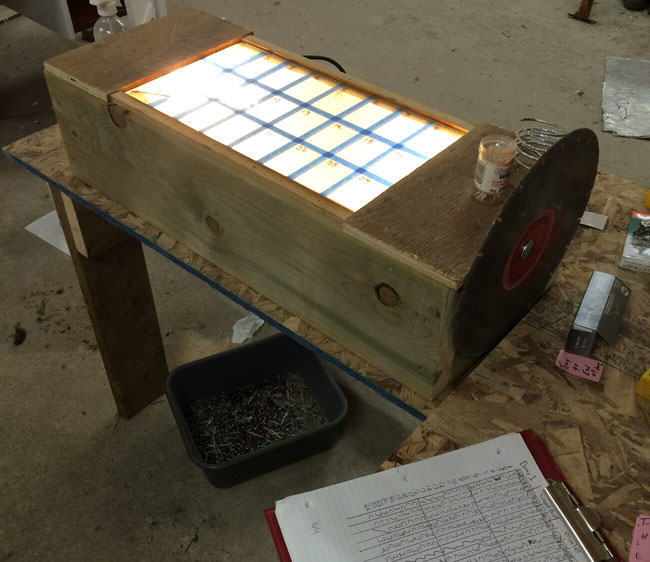 Blood samples are smeared on an illuminated work table, and a drop of iodine added to look for signs of disease or infection. Photo: Truth About Fur. TaF: So are you choosing the healthiest mink for reproduction? Les: That’s just the first step. Then we start the most important selection, hand-grading the mink for fur quality. We are looking for a number of crucial factors, especially the velvety short-nap fur that North America is famous for. But we are also checking for the softness of the fur and consistency of colour. If there are white hairs among the brown or black fur, for example, you want to eliminate that as much as possible from your herd. This hand-grading and selection is vital. It is what determines your fur quality for years to come. TaF: So you are selecting for health and fur quality. Les: Yes, but we also take into account the litter size females produced, and how well they cared for their young, as well as how calm and easy to handle they are. These are all factors in deciding which females we keep for breeding the following season. And each farmer makes these decisions somewhat differently, depending on how you are trying to develop your bloodlines and fur quality for the future. 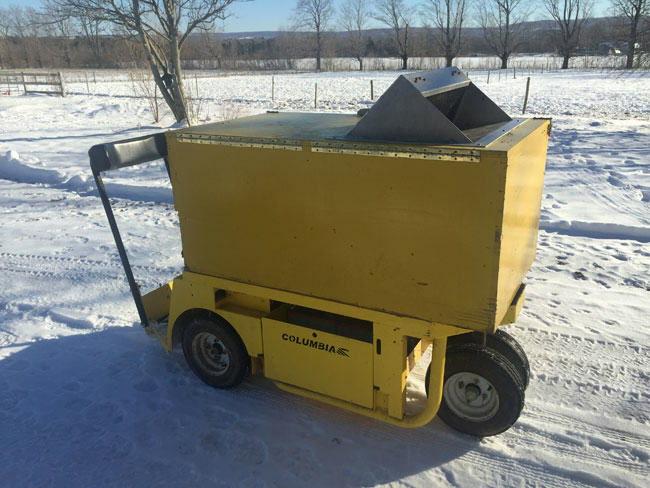 A mobile cart filled with the proper concentration of bottled carbon monoxide (CO) gas is used to euthanise mink quickly and humanely. Photo: Truth About Fur. TaF: So you have balanced all these factors and decided which mink to keep for breeding. Then what? Les: By December the mink are fully furred – we say the fur is “prime” – and it is time to euthanize the mink we will be pelting. We wheel a special, air-tight box into the barn; it is filled with the proper concentration of bottled carbon monoxide gas. The mink are not stressed because normally it’s the feeding cart we bring through the barns. 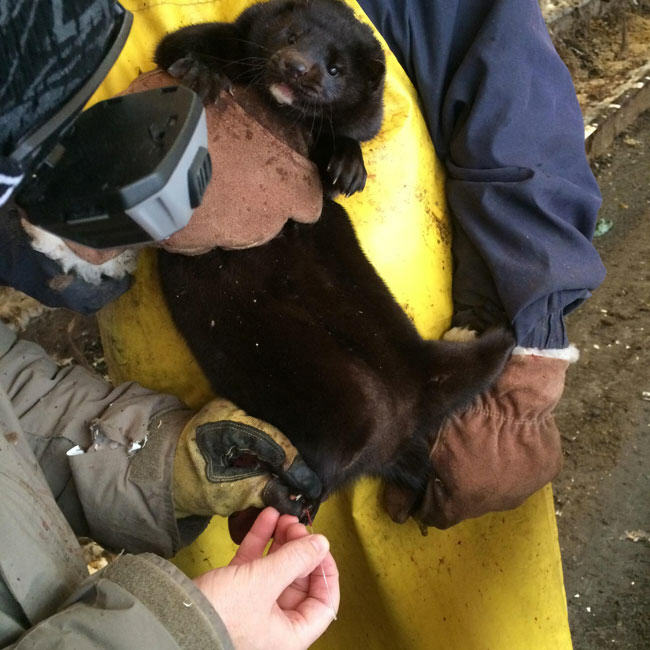 One by one, we open the cages and place the mink into the gas-filled box. They turn around a few times, lie down peacefully, and in a few moments they are dead. Carbon monoxide is an odorless gas that acts very quickly and humanely. TaF: And then you pelt them? Les: Not right away. First we place them on top of the cages or onto a wire shelf, to cool thoroughly. That’s very important because the fur can be damaged if it rests too long against a solid surface while the mink are still warm. We usually send them to the pelting facility the following day. Male mink being laid out atop their pens to cool after euthanasia. They will be sent for pelting the next day. Photo: Truth About Fur. TaF: So what do you say to activist claims that mink are skinned while they are still alive? Les: That’s complete nonsense, like so much that the activists say about us. 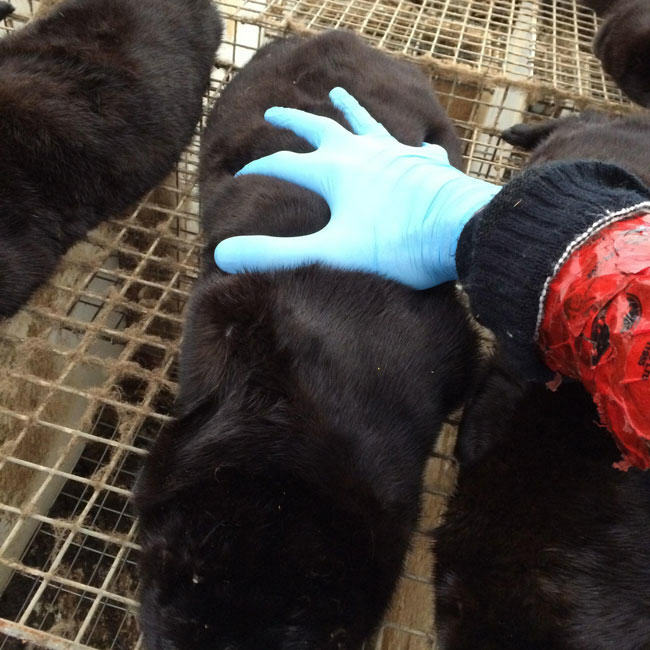 It’s very frustrating, for sure: we work so hard all through the year to produce the best quality mink we can raise. It’s insulting and ignorant for activists to claim that we would mistreat these animals. We are proud of how we care for our mink. Our livelihoods depend on them! TaF: What happens at the pelting facility? Les: The mink are pelted by experts who have the experience to do this perfectly, without damaging the fur. The fur pelt is then cleaned and put onto a special stretching form to dry slowly in the proper size and shape. This has to be done at the right temperature and humidity. The fur will then be sent to the auction facility to be graded and prepared in lots for the next auction sale. TaF: Is only the fur used? What happens to the rest of the mink? Les: The fat from the mink is collected to make mink oil, which is used to waterproof and protect leather, or as a fine lubricant. The carcasses and manure are usually composted to make organic fertilizers. Here in Nova Scotia we also have a pilot facility to make methane from the manure to produce electricity. In Denmark they are already producing biofuels with mink carcasses. TaF: So let me understand this: your mink were first fed by-products from our food supply – the parts of fish, poultry and meat animals that we humans don’t eat – and then, in addition to producing beautiful fur, their manure, soiled bedding straw and carcasses produce organic fertilizers to replenish the soil? 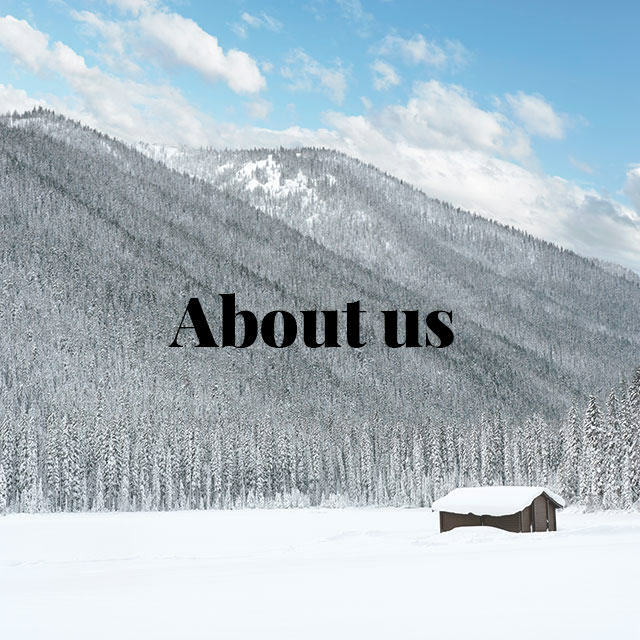 Les: That’s right, mink help to complete the agricultural nutrient cycle, while producing one of the most beautiful, long-lasting and ultimately biodegradable clothing materials in the world! I am one of those people you don’t like. ha I would never in my life wear a mink, unless my life depended on it. If I lived in the Yukon in a tepee, I would wear mink. I believe that I am the dominate species and if I need that animal to survive, I will not hesitate. However, I live in a home and synthetics have come a long, long way, though I am concerned about the petroleum used in them. I love the outdoors and spend as much time as I can there. I play tennis and wear leather tennis shoes because my feet would blister if I wore something else. Like I said, I use an animal if I need to. Wearing a mink is a luxury, and though I can afford it, that will never happen. I will NEVER have an animal spend it’s life deprived of the enjoyments it encounters in the wild for me to wear a coat to prove my prestige. I do appreciate that you euthanize them with CO2 rather than electrocuting them, but that isn’t enough for me. We’d probably get on just fine if we actually met 🙂 In the real world, people who wear fur often form meaningful relationships with opponents of fur. I can’t help but wonder why you think the “luxury” of wearing mink is indefensible, and yet it’s acceptable for you to wear leather shoes just so your feet don’t blister when playing tennis. Everyone else manages to play tennis without leather shoes, and if it’s really that hard on your feet, you could just quit tennis. Great explanation I am so happy to be a mink farmer even with this prices we love to work with the minks . We also use deceased mink from mink farms to educate young students about animal anatomy and physiology. Their bodies help aspiring doctors, nurses, and veterinarians learn organ systems and circulatory pathways better than any simulated model ever could! Afterwards the specimens are incinerated as bio waste or if they are very clean or well intact we preserve them in karosafe for future education. Thank you for this four part article. It is interesting to learn how the whole process works. Good to see these kinds of things out there for those willing to learn.